Grant Fletcher Interview with Bruce Duffie . . . . . . . . . 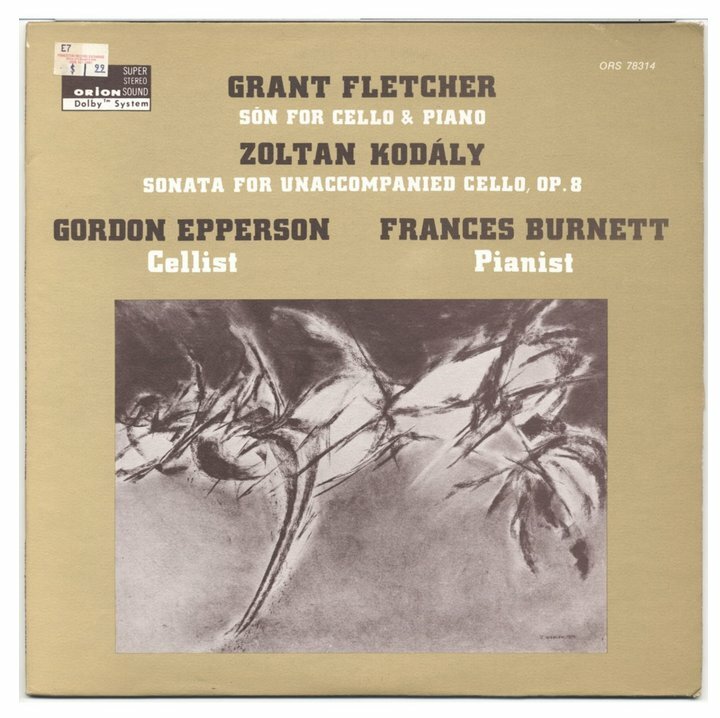 Known professionally as Grant Fletcher, both his parents were schoolteachers and musicians. His father taught elocution and physical education, and also a Kentucky Mountain Singing class, where his mother often was the accompanist. Young Grant sang in a boys choir, and at the age of fourteen began trumpet and clarinet which he learned by trial and error. He later picked up piano and violin from instruction books he borrowed from friends. While at Springfield High School (1927-32), he studied violin, theory, and choral conducting, and made his initial attempts at composing. His excellence in music brought him a special award from the Springfield High School Honors Society. From 1932-35, he studied theory, conducting and orchestration, as well as piano, viola and composition at Illinois Wesleyan University. During the summers, he was a student of conducting with Thor Johnson, and composition with Ernst Krenek at the University of Michigan, where he received his MM in 1939. His later teachers of composition included Howard Hanson, Bernard Rogers, and Herbert Elwell at the Eastman School, where he received his PhD in 1951. In 1952 he participated in a conducting symposium with the Cleveland Orchestra led by George Szell. 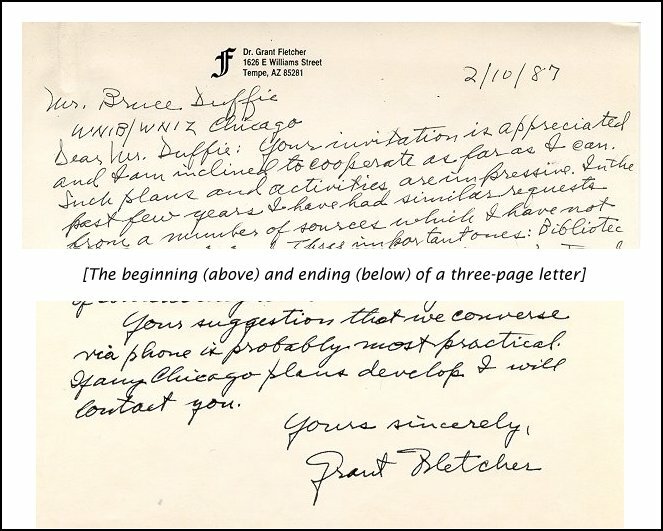 In 1951 Fletcher was the Illinois delegate to the International Music Festival in Pittsburgh, PA, and in both 1974 and 1977 he represented United States composers at the International Triennial Festlighe Muziktage in Umer, Switzerland. Besides his musical compositions, he is the author of Rhythm - Notation and Production. 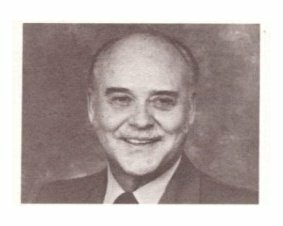 His teaching positions included Illinois Wesleyan (1938-41), Winthrop College in Rock Hill, SC (1941-43), Chicago Musical College (1949-51), and finally Arizona State University in Tempe (1956-78), retiring as professor emeritus. He was Music Director and Conductor of the Akron Symphony 1945-48, and Conductor of the Chicago Sinfonietta (1952-56). Honors include First Prize in the NBC Radio Composers Contest (1938), the International Ernst Le May Award (1947), National Chamber Music Award (1973), Washington State Bicentennial Award (1976), and the Delius Festival Award (1979). We arranged to do the interview on the telephone in March of 1987. When I called, I asked if it was a good time for the conversation, and he jokingly said, “I’ve run most of the family out of the house so we’ll have some quiet.” He then asked about the radio station I was working for (WNIB, Classical 97 in Chicago), and I also mentioned we had just purchased a second station near the Wisconsin border (WNIZ) to use as a repeater, sending the signal farther north toward Milwaukee . . . . . . . . .
Grant Fletcher: Oh, fine! When I was in Chicago I almost became conductor in Milwaukee. It was so close, and they were using the Chicago Symphony up there. They were not too happy about not having a symphony of their own. Bruce Duffie: When was this? GF: Let me stop and think... it must have been around ’53, ’54. BD: There was no Milwaukee Symphony at that time? GF: They did have a group, but they were planning to really go larger, and I think they have since that time. BD: The Milwaukee Symphony, as I know it today, is a rather respectable organization. The precursor ensemble to the orchestra was the Milwaukee Pops Orchestra, a part-time ensemble which had been founded 10 years earlier. 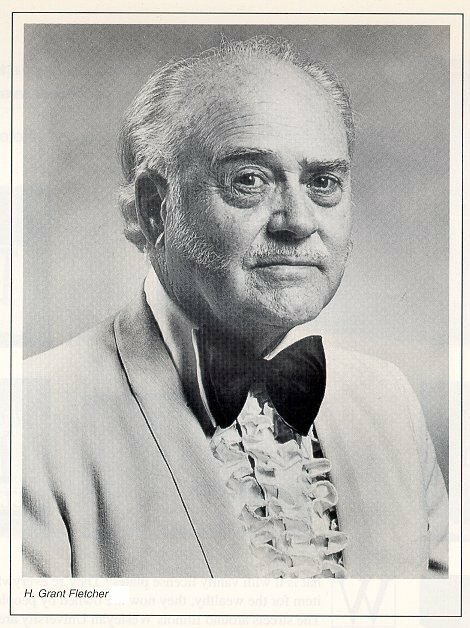 In 1959, the orchestra formally changed its name to the Milwaukee Symphony Orchestra, with Harry John Brown as its first music director. During his nine-year tenure, Brown led the orchestra's transition from a semi-professional pops group to a fully professional, full-time symphony orchestra. During the tenure of Kenneth Schermerhorn, the orchestra's second music director, from 1968 to 1980, the orchestra had begun its 'State Tour' program of concerts around Wisconsin. The orchestra also initiated its concerts for students, as well as giving its first performance at Carnegie Hall. The Milwaukee Symphony Chorus was also established during this time. Lukas Foss served as the orchestra's third music director, from 1981 to 1986, which saw a notable increase in performances of contemporary music and American compositions, along with the orchestra's first European tour in 1986. Zdenek Macal was the orchestra's fourth music director, from 1986 to 1995. The orchestra began to record for Koss Classics during this period, and established its Arts in Community Education program in 1990. From 1995 to 1997, Stanisław Skrowaczewski served as the orchestra's artistic advisor, prior to the advent of Andreas Delfs as the orchestra's fifth music director from 1997 to 2009. During his tenure, in 1999, the orchestra performed in Cuba, the first American symphony orchestra to do so since the U.S. embargo against Cuba was implemented in 1962. Edo de Waart has been the orchestra's music director since 2009. The orchestra has presented more than 100 world and American premieres of works by composers such as Philip Glass, Daron Hagen, Roberto Sierra, Gunther Schuller, William Schuman, Lukas Foss, Roy Harris, Gian Carlo Menotti, Richard Rodgers, Ottorino Respighi, Jean Sibelius, Erich Korngold and others. Over 22 compositions have been by MSO musicians. GF: Yes, it certainly is. BD: I want to talk to you about quite a number of things. First of all, and of great interest to me, you are a graduate of Illinois Wesleyan University? BD: As am I. I graduated from there in 1972. GF: ’72? Well, I was a little bit ahead of you, finishing in 1935. BD: Have you been back to Wesleyan since your graduation? GF: Yes, I appeared there some years ago. It must have been around ’51 or ’52 as head of a panel of composers for a complete week of contemporary composition. BD: Had Wesleyan changed a lot? GF: Building-wise not very much, and there were still faculty members of the music department that I remembered, and one or two of my other professors. BD: Are you the only graduate of Wesleyan to become a well-known composer? GF: Oh, I don’t know about that. Yes, I suppose as a composer, but there have been a number of other people who have done very well in the music field. They’re quite outstanding. Wesleyan is a strange, small place which produced a great deal of talent, actually. BD: Since then you have been involved in the teaching of musical composition. This is a question I always like to ask composers who teach composition — is the teaching of composition something that really can be done, or must it be innate with the young composer? GF: I suppose it’s like all talent — whatever talent there is, an adequate teacher would try to build upon. I’m sorry to say that in most fields of musical conducting and composition, most of the experts try to teach people to duplicate what they’ve done themselves, which is not a very good teaching ethic. The hard thing is to find what the young person can do and is interested in, and lead them on to expand that. In that sense, I’m sure putting people through new experiences can be very effective. However, it’s like tennis playing and all the rest — if there is not much basic interest and talent and a way of thinking about music already in the mind of that young person, all one can do is give them technique, and that is hardly the way a creative mind has to work. However, once you have a real creator and can give them a technique and experience beyond their own personal association with music, then you have what I would call real teaching. This brings to mind Samuel Barber, who has made quite a name for himself. He was a working at the Curtis Institute as a young man, and he certainly had talent. Rosario Scalero was teaching there. By the age of six, Scalero was under the tutelage of Pietro Bertazzi, a violinist, musical instrument maker and instructor at the Conservatorio St. Cecilia in Rome. In 1881, Scalero entered the Liceo Musicale di Torino under Luigi Avalle. 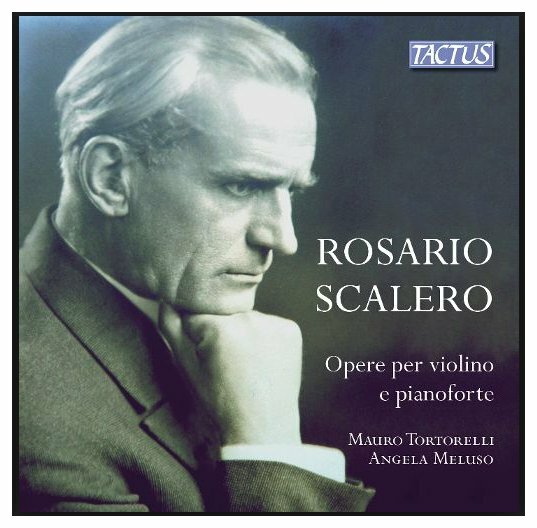 At the age of 15, Scalero came under the tutelage of César Thomson. Scalero appears to have returned to his home at Moncalieri for a time for health reasons, before returning to Torino (Turin) to study with Camillo Sivori through 1889, appearing during this time with the Sivori Quartet. In 1891, Scalero made his debut as a recitalist in Leipzig, following which he performed in Milan, Rome, London, and throughout Europe to critical acclaim. In 1895, Scalero went to London to study and assist violinist August Wilhelmj (concert master of the world premiere of Wagner's Ring of the Nibelungs in Bayreuth). In 1900 he left London for Vienna, where he became a composition student of Eusebius Mandyczewski. 1907 returned Scalero to Rome. Here he joined in 1913 the Società del Quartetto and became its musical director and first violinist. In 1919, he succeeded Ernest Bloch as a composition teacher at the Mannes School of Music in New York. 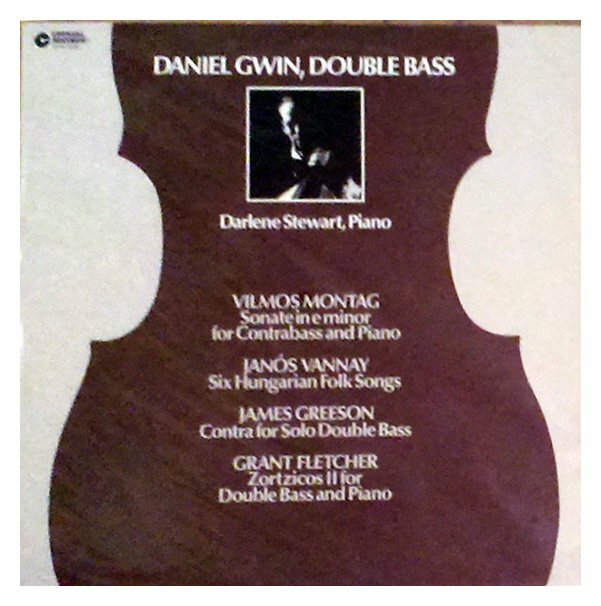 After 1927, he taught at Curtis Institute of Music in Philadelphia, while apparently keeping a residence in Gressoney. During that time he taught composition to (among others) Samuel Barber, Leonard Bernstein, Marc Blitzstein, Lukas Foss, Leonard Kastle, Gian Carlo Menotti, George Rochberg, Nino Rota, Virgil Thomson, George Walker, Hugo Weisgall, and Luigi Zanelli. In 1946 he returned to Montestrutto, near Ivrea, where he died in 1954. Scalero was an older Italian composer, and evidently a very fine technician, and he simply refused to accept Samuel Barber’s works until Sam cleaned them up. What you see in the famous Adagio for Strings is the result of Scalero’s forcing this young man to restrain his talent and turn out something very musical. I understand he wrote it ten or twelve times as a string quartet before he transcribed it for orchestra. Later, Barber developed in many other directions, and without the tremendous profile and discipline that Scalero gave him in that piece. Many of his pieces are interesting and wild and driving, and quite American in style, but somehow they don’t contain the tremendous logic that lies in that simple Adagio. I noticed in watching the film Platoon the other night that they’ve used it as beginning and ending music. BD: Yes, that’s right. So you’re talking about what makes a piece of music great. What really does make a piece of music stand apart from the run-of-the-mill? GF: That, of course, is the great sixty-four-thousand-dollar question, isn’t it? [Both laugh] Let’s see if I can put my finger on it. First of all, it needs a competent technique, and by that I mean while it can have extremely disciplined, highly technical writing, as some of the great symphonies contain — the Brahms symphonies, for instance. Nevertheless, sometimes this great discipline shows up in an extremely simple piece of music. Think of Silent Night by Franz Xaver Gruber. This was probably the one composition he did that is remembered in any fashion. It’s utterly simple and quite beautiful. [Composed in 1818, it was declared an intangible cultural heritage by UNESCO in 2011. The song has been recorded by a large number of singers from every music genre. The version sung by Bing Crosby is the third best-selling single of all-time.] For anyone who’s written symphonies, to sit down and re-create a thing so simple and so beautiful is extremely difficult. In fact, this is probably where ‘inspiration’ plays the right part. Nevertheless, the learning of technique is an important thing because it allows one to grasp musical ideas, and extend them, and build them, and get the most out of them that one possibly can. That, too, is a kind of inspiration. If I get an idea, which is just simply an inspiration, and then begin to work with it in technical fashions, then I often find this idea grows into something quite different, and when it does, I get excited and enthusiastic about it. One thing I did learn from Beethoven, while studying his sketches, looking at the top of the page you find the silliest little Italian opera tune you ever saw. Then about half-way down the page something tends to grow. All of a sudden it changes completely and becomes [starts to sing] the Seventh Symphony! That change, and how it takes place, certainly none of us can explain it. It happens when the mind is casting about to find what one is seeking, and knowing when you’ve found it, and getting so excited you can’t to stop it from then on. So while technique is tremendously important to composers of our time, it is only a building-block for the expression of whatever the individual is trying to create in music. I have become a firm believer in the Carl Jung Depth Psychology. He states that there are four portions to personality, and whatever one you start in, you begin to grow in other directions. I think that is what we show in composition. Depth psychology has since come to refer to the ongoing development of theories and therapies pioneered by Pierre Janet, William James, Carl Jung, as well as Freud, which explore the relationship between the conscious and the unconscious (thus including both psychoanalysis and Jungian psychology). Some highly intellectual people can crate highly intellectual compositions, and they don’t excite anybody except the other intellectual people. Others are so emotional that what they create is emotional kinds of musical sounds, and they excite highly emotional people. But most of us are made up of at least part of those four things, and we demand more than that for music that lasts. As part of my teaching experience, I have gone into psychology and little bit of physiology too, so when a highly talented young person begins to grow in experience and spiritual values — if you don’t mind my using those words — what happens is that the two portions of the brain — the conscious and the unconscious portion, the bicameral brain — begin to get connected. Here is where the Beethovens and the Brahmses and the Bachs reside. Even at the young age that Mozart died, you begin to see things going in the musical structure itself. Those last three symphonies of Mozart are absolutely tremendous, and they show what this young, smart boy developed into in his lifetime. You hear the talent he had, the actual serious development of personality. He probably did not have much until he grew up, and unfortunately he died at about the time he was able to create these things. BD: Do you feel Mozart’s music would have gone in the direction that other music did go if he had lived to be sixty or seventy years old? GF: Without doubt. I would bet on such a thing. The Fortieth Symphony in particular is such a tremendous technical accomplishment, with all the depths of the emotion that sometimes lies in other Mozart works, also. I’m skipping over the operas and things of that type which contained a great deal of these same elements, but he was growing. There’s no question about that. When you compare some of his early music, which was nice in terms of its time, it just meant that his ears were able to pick up all of the obvious things which other composers were doing, and reel them off in a hurry, much faster than Beethoven ever could. BD: So you feel that music goes in an unalterable direction, and composers are almost subservient to that direction? GF: That’s an interesting theory to pursue. I’m not sure I would quite make it as simple as that. Music runs in many directions, and eventually, like the limbs of a tree, many of these directions die off, and their leaves fade, and we get out of that style and out of that time, and out of an audience which likes that sort of thing. Nevertheless, the entire trunk of a tree moves up to the tip. BD: Then where is music going today? GF: [Laughs] Well, let’s see... First of all, we have a plethora of people who are composers who are more interested in intellectual technology than they are in particularly saying anything in their music. That’s not to say that all of them are that way, but the great mass of composers, as of maybe twenty years ago, were interested in technique, and what they could get on the page, and how they could explain it in words. Now if you have to explain these things in words, you’ve missed the point. You don’t have the notes on the page that can say these things. So what we’ve gotten is tremendous technology of all kinds, and finally we have the capacity with electronic instruments and computers to do almost anything we want. The question is what do we want to do, and so few people want to do anything that I feel is important. BD: In your music, what do you want to do? GF: The first thing I would like to show is a balance between technique and emotion — the conscious and unconscious things that we have in our makeup. One example I would like to show is the sensuality of Tristan and Isolde with the other elements of human personality, and do them all together. I can’t do them all together at one time, even with as much as I know how to do. Sometimes a work comes out extremely sensual, and another work comes out extremely emotional, and yet another one comes out highly intellectual. When I can get all these together and do them in one score, I will feel I have really accomplished something that’s worth the sweat and blood of getting it out. BD: It sounds as though you don’t expect it to come out that way. Are you the servant of the music, or can you control the music at all? GF: This is a balance between us and it. When I find something tremendously exciting to me in music, that’s when I begin to go to work on it technically to see what it can do, and how far I can personally immerse myself in the music. My system of composition, if I have any, is to I stop and think what kind of a piece I should write. Sometimes I already have in my mind a number of pieces which I would like to write. Sometimes the person who commissions me says they want a work for full orchestra for kids, so I’m limited in my parameters. However, what I do from then on is to sit down and begin to write. Somebody asked Stravinsky how he composed, and he said, “Oh, I just sit down and write.” They then asked, “But what if it isn’t very good?” and he said, “I throw it away and keep writing.” This is a good process for me, and for anyone else. Sometimes I can start with an inspiration of a musical idea that I want to grow and develop, and it becomes something. But sometimes, if it’s more commercial, or should I say, a required piece by somebody who likes to see what’s possible, I sit down and start sketching. Those sketches will grow to several hundred different ideas. Then I read back over them. Some are exciting and worth working on, and others I leave in a pile. I don’t throw them away because I’m tremendously frugal — so frugal that I have sketch books from forty years ago with ideas that I never will get around to complete. But I learned that from Beethoven — sit down and start writing. Sometimes what comes out of it is utterly different from what I started with. My wife has spoken to me about that from time to time. I’d be writing on something, and I may go to the piano to play a little bit of it for her. By the way, I don’t usually use the piano. First of all, I’m not a pianist; I’m a conductor by trade. But I’ll go to the piano to clarify something. Sometimes I can’t read my own sketches, and I have to go to the piano to figure out what it was I wrote! [Both laugh] I will be playing something, and all of a sudden out comes something utterly different. So my wife says, “What is it then?” and I say, “That may be the very thing I’ve been searching for.” I had never found it before, and then it’s in my mind, and I’ll go on with it. But I usually work away from the piano completely. BD: When you start to write a piece of music, are you conscious how long the piece will be? GF: I would sit at length to figure out whatever the performance possibility is. For instance, I just completed my Second Symphony not too long ago, and it spun itself out to thirty-six or forty minutes, which is a little long for most symphonies. I might write a Third Symphony now, which would be as short as twenty-five or thirty minutes. I have two operas. One is forty-six minutes long, and the other is two hours and thirty minutes in complete performance time. I do try to fit the length to the capacities of the performance situation which I believe I will find. By the way, I recently had premiered a violin sonata called Sonata for Violin Alone. It is twenty-one minutes long. That spun itself out from an original, almost ‘Bachian’ baroque beginning, like the Brandenburg Concerti to some extent. It became more and more contemporary, more driving. Some of it turns into what you might describe as Shostakovich, or some of the more contemporary composers, such as Bartók, but it just grew from my original plan to write a sonata for this lady who is a very fine violinist. BD: You’ve had your music performed by different kinds of people. Are you basically pleased with the performances you’ve heard of your music? GF: This depends upon the artistry and the command of the people who perform it. A really great performer will take my music and sometimes change it a bit, and make it better than it was, strangely enough. What they read into it is their own musicality. A performer who’s not so adept, not only plays wrong notes and has to be corrected, but often times has no idea what the music is about. There are all kinds of performers, just like there are all kinds of people. Some performers are such mechanical geniuses that they don’t play any music at all. They just play their instruments. BD: You have been observing performers for going on seventy years. Do you feel that they have gotten better over that time? GF: Oh, they’re more adept. There’s no question about that. The changes in instruments have been tremendous. The switch to steel stings instead of the gut strings, which used to be used, changed the sound of the orchestra, the balance of the orchestra, and certainly the way they should be conducted... though many conductors don’t know how to do this. A lot of conductors spend their time listening to records to learn the scores. BD: I assume that is a mistake? GF: I would say that it would be wiser for a good musician, who is a conductor, to read the score and try to understand what the composer is saying. Then, if they want to listen to some records they will find Toscanini doesn’t sound like Bruno Walter on the same work, and that’s acceptable. But the idea that there’s only one method of performance of a Brahms or a Beethoven symphony, or a work by Bartók is completely fallacious. There are many ways to perform. I was speaking to a local conductor here just last night, who’s doing the Brahms Third Symphony. It’s one of my favorites. I conducted it in Chicago with the Chicago Musical College Symphony, who were all students, but they were being taught by the members of the Chicago Symphony. Those kids were capable of doing all kinds of things, and since then they’ve been hired in all the symphonies in the United States. My former first cellist there talked to me a month or two ago, and said, “That performance we did of the Brahms Third Symphony was one of the greatest experiences I ever had in my life.” That local conductor I spoke with played in the New York area before he became a conductor. He played viola for years. In fact, I think he played some concerts under Toscanini. So I talked over with him the difference in Toscanini’s conducting of this work with all the other conductors I had ever heard. We had all kinds of details to discuss about why Toscanini di this, that, and the other things. But conductors themselves these days are not well trained. Usually they are good musicians, and sometimes they know an instrument like the piano, but very seldom do they have an opportunity to really learn about the whole orchestra. This is what makes a man like Walter so utterly different from many of the people today. BD: Let me pursue this just a bit further. Is there such a thing as a perfect performance? BD: So the performance fell apart momentarily? GF: Yes, just for a split second, then they got back with him. Szell was so good at the things he did quite well, but there is one story that he rehearsed the Afternoon of the Faun for twenty rehearsals, and then gave it up and never performed it. He was unable to comprehend that kind of music. It wasn’t his ‘forte’. BD: You mentioned recordings. Do you think they set up an impossible standard to duplicate in the concert hall? GF: Oh, I think you can get better results in the concert hall. There are exciting recordings, of course, and there is the brilliance of sound that’s possible. When all of these factors come together in a well done recording, all of this is fine, but it doesn’t match what happens in a concert hall when everybody you get it to click. There might be a crescendo that runs for fifteen bars and never lets up its intensity, and always proportionally increases to the climactic point. This is one of the greatest things that can happen, and strangely enough it seldom happens on recordings. Even though they’re getting better all the time, recordings are technically incapable of catching all the nuances of those subtle changes. BD: They’re something that must be heard by an ear in a hall? GF: By an ear in a hall, and it depends on where you sit. You may sit in a place where the orchestra sounds completely dull. When I go in to really hear an orchestra, I will change seats three or four times during a performance to see what the orchestra really sounds like. It’s a whole different set of problems. BD: I understand you’re going to Washington DC to testify about ASCAP? GF: Yes. I’m going to Washington DC in three days to speak in front of a Senate Committee that is considering some that bills that may kills ASCAP. The American Society of Composers, Authors and Publishers (ASCAP), founded in 1914, is a not-for-profit performance-rights organization (PRO) that protects its members' musical copyrights by monitoring public performances of their music, whether via a broadcast or live performance, and compensating them accordingly. ASCAP collects licensing fees from users of music created by ASCAP members, then distributes them back to its members as royalties. In effect, the arrangement is the product of a compromise. When a song is played, the user does not have to pay the copyright holder directly, nor does the music creator have to bill a radio station for use of a song. In 2012, ASCAP collected over US$941 million in licensing fees and distributed $828.7 million in royalties to its members, with an 11.6 percent operating expense ratio. As of July 2013, ASCAP membership included over 460,000 songwriters, composers, and music publishers. In the United States, ASCAP competes with two other PROs — Broadcast Music, Inc. (BMI) and the Society of European Stage Authors and Composers (SESAC). What is happening is that the broadcasters and the recording companies have pushed for years to insist that they will not pay license fees to ASCAP. They have lost every suit that they have brought against ASCAP. Of course, ASCAP is not the only one that licenses live performances. BMI also does it, and there are several other organizations. But they have wanted to destroy ASCAP, and their argument this time is that they feel ASCAP is in restraint of trade; that the composers should have the rights to work with them in setting the fees for their music that is played, and they won’t have to go through ASCAP at all. BD: In other words, they’re asking that every composer be a free agent? GF: Yes. This would be impossible for me because I couldn’t sit and write the letters necessary to carry on any business. What’s more, I doubt that I would get that much business, anyhow. I write a different kind of music than, say, Jerome Kern. Those composers who have been so successful are the members who are writing for the stage in Broadway today. I don’t write that kind of music. GF: Yes, by choice, although if somebody asked me to do so, and offered to pay me money, I might give into the devil himself. [Huge laugh] In my short lifetime I have had a desire to do the best I can, and I don’t feel that writing show tunes is quite the best I can... although I respect Irving Berlin and Jerome Kern, and all the rest for what they do. That was tremendous, but I want to do something that is more complete for the human animal. As I said, it takes in those four elements of the human mind, rather than just one. An interesting side issue is that if I am lucky enough to write a piece of music which affects three of the four portions of the human psyche, the people who like one part of it do not like the next. This is a strange thing that they don’t want a complete human development in music. They want one that fits their personality. BD: When you write a piece of music, or in music in general, where is the balance between art and entertainment? GF: I have nothing against entertainment. I go to good entertainment myself. From time to time I entertain people as a musician and as a speaker, and as an actor when I was younger. I have nothing against entertainment; I just don’t think it’s everything a human psyche is seeking. I would like to find some of that stuff which is completely enveloped in the human race, so that everybody who only likes emotional music might grow up and learn to like other kinds of music as well — intellectual music, for instance. I have nothing against intellectual music except when it is only intellectual. Then I feel it’s selling short the human idea. BD: I want to be sure and ask you about your operas. You have two of them, one shorter and a long one? GF: Yes. 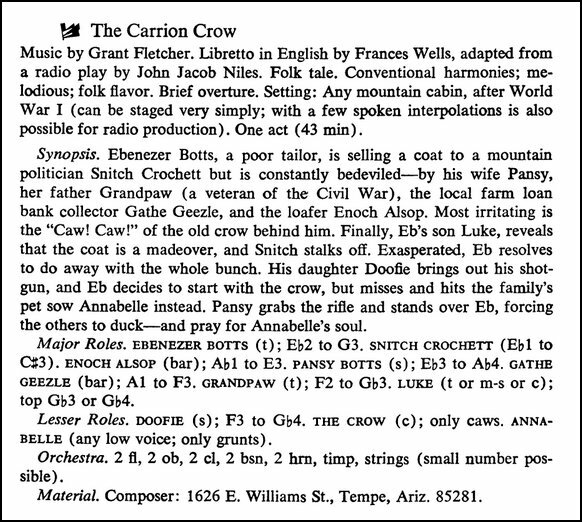 The Carrion Crow is a radio play by John Jacob Niles. 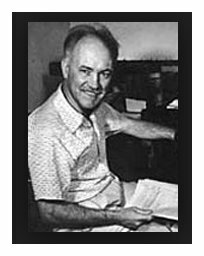 John Jacob Niles (April 28, 1892 – March 1, 1980) was an American composer, singer, and collector of traditional ballads. Called the "Dean of American Balladeers", Niles was an important influence on the American folk music revival of the 1950s and 1960s, with Joan Baez, Burl Ives, and Peter, Paul and Mary, among others, recording his songs. Born in Louisville, Kentucky, Niles learned music theory from his mother, and began writing down folk music as a teenager. He became a serious student of Appalachian folk music by transcribing traditional songs from oral sources while an itinerant employee of the Burroughs Corporation in eastern Kentucky, from 1910 to 1917. After serving in the U.S. Army Air Service during World War I, in which he was injured, he studied music in France, first in Lyon, then in Paris at the Schola Cantorum, also meeting Gertrude Stein. Returning to the United States in 1920, he continued his studies at the Cincinnati Conservatory of Music. He sang opera in Chicago and folk songs on early radio. In 1925, he moved to New York City and held various jobs in the entertainment industry. In the 1930s, he toured Europe and the United States with contralto Marion Kerby. He performed at the White House in 1938, and on occasion at the Newport Folk Festival during the 1950s. In the 1920s, Niles began publishing music. He made four extended trips into the southern Appalachians as an assistant to photographer Doris Ulmann, again transcribing traditional songs from oral sources. On other occasions, he transcribed songs he heard sung by African Americans and by fellow soldiers in World War I. In 1936, he married Rena Lipetz. They settled on the Boot Hill farm in Clark County, Kentucky, where they spent the rest of their lives. Niles was also a noted songwriter, and many of his songs are based on traditional sources. Starting in 1938, he recorded a number of his compositions and transcribed songs, performing the material in an intense, dramatic manner. 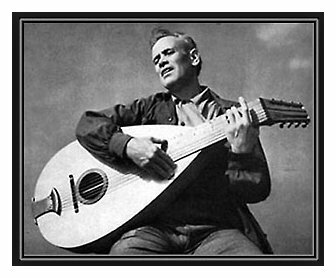 He employed a trademark very high falsetto to portray female characters, and often accompanied himself on an Appalachian dulcimer, lute, or other plucked stringed instrument. I’d known of John Jacob for years, and when I was teaching in a college in South Carolina and driving back home to Illinois, where my wife’s home was, we stopped off at John Jacob’s, and he showed me several of his plays and played me a lot of his music. We had a very good get-together, and his wife, Rena, is a wonderful person. I just love them both. He offered me three or four items to make a short opera from, and I chose The Carrion Crow. It is a rather humorous story about a mountain man who is treated badly by his wife. It’s a very lively thing. I had been teaching in South Carolina, and I knew some of the tricks of the mountain singers. So I wrote it in somewhat that style, and as a result, the musicians who read the score don’t like it. They say, “This is a fallacy that we just don’t believe in.” The man who set the performance up said, “I didn’t like this work at all when I looked at it, but this is tremendous! This is stage-wise, and it’s got exciting music in it. It’s got everything!” He became one of my best backers. Some years later he went to New York City, and he tried six times to get a performance of this work in some of those smaller halls. Each time he’d get people all ready, and then the tenor couldn’t sing the role, or something else happened. Actually I taught the role to a couple of high school students out here who could do it well. But again, it’s a question of directorship and the kind of background that they have, and the kind of experience that they maintain. They don’t know anything about modern music so they don’t like it. BD: Should you perhaps aim for some performances in high schools? GF: I wouldn’t mind it at all. I just have been so busy with so many other things, and the trouble is there are so few high school instructors now who could handle the difficulties in the score. I wrote the thing in about six weeks’ time, and scored it in a couple of months that I spent with my brother in Norfolk, Virginia. It is a demanding work, but I would like to see anybody do it right now. BD: Your other opera is The Sack of Calabasas? GF: Yes. The word ‘Calabasas’ means a big gourd. There was a town that was established in lower Arizona, almost on the border of Mexico and present-day Arizona called Calabasas. [See the box at the bottom of this webpage for photos and more information about the area then and now.] In general, the story is about the meanest town that ever existed in the west. All of the ill-favored personalities who had done anything wrong gathered there because this was going to be the port of entry between Mexico and the United States. The railroad was going to run through there, and when it did, these fellows would sell out to all the newcomers that were coming, just make money and hoodwink them in any way possible. At the beginning of the show, a stranger arrives in the town and you never are told exactly who he is or was. He is a tall guy who on a donkey that is too short for him. He rides into the town wearing a floppy hat. It’s a Sunday morning — though that is not made apparent for some time — and as he rides in, a group of tough guys stand in the middle of the street and stop him, and ask who he is and what he is doing there. He says his name is Abimelech Jones, a Preacher, and sure enough, he hoodwinks them all. He’s a master con man and eventually runs away, across the border with all the money that he’s collected. I have stood on the very hill where he was supposed to stand and look back over the valley. The other main character is a Sheriff from Grizzly Paw up in the Brazos, who has been chasing him for several years. It is the Sheriff who finally tells the main characters who this ‘preacher’ is. There are all kinds of twists in the tale. The great thing, however, is this story was done in verse by John Myers Myers. John Myers Myers was born in Northport, Long Island on January 11, 1906, to John Caldwell Myers and Alice O'Neil McCorry Myers. He was named for his grandfather John Myers, "the extra Myers, sparing me a dynastic 'II' as per race horses, cars, and yachts." [For a composer with similar nomenclature, see my Interview with Curtis Curtis Smith. BD] Myers grew up in various places in New York, including New Paltz and NYC. He has stated that he knew from the time he was seven years old that he wanted to be a writer. He attended Bard St. Stephens College and then Middlebury College, but was expelled from the latter for writing unflattering verse about the faculty. He later attended the University of New Mexico to study anthropology, but never completed a degree. After extensive travel through Europe and the United States, Myers worked for the New York World and San Antonio Evening News. He was also an advertising copywriter. Myers served five years in the U.S. Army during World War II. He and Charlotte Shanahan met while he was stationed at Fort Knox and they were married in 1943. They had two daughters, Anne Caldwell Myers and Celia Myers. In 1948, he moved to Tempe, Arizona to do research for The Last Chance, and stayed there as he was by that time enamored of the West. While there he worked as editorial writer for the local newspaper. At Arizona State University he had taught writing, conducted a writers conference, and assembled Western Americana for ASU Libraries. He died on October 30, 1988. Myers published seventeen books, ranging from fantasy and historical fiction of the American Old West to epic poetry and histories of the West. His nonfiction works included a history of the Alamo, the first biography of Doc Holliday, a study of the vigilante movement in San Francisco, and a well-researched biography of Hugh Glass, an early American fur trapper and frontiersman. He’s a very well-established Western writer, now at the end of his career. His ability to do all of this in the finest poetic fashion just amazed me, and caught my eye when I first read a bit of it. He has a tremendous classical background. You hear everything from the Ancient on up to now in this Western setting. I thought that I could set this, but he couldn’t write a libretto for me. So what I did was to cut out a great deal of what he put in, and even added one little thing that catches the eye of many stage directors. He wrote such wonderful descriptions of what was going on — both on stage and in the minds of these people — that I added these above the score without setting them at all. Perhaps there should be a narrator who would speak these parts to the audience. As to the action, many things are going on. It’s starts extremely slowly with Abimelech being questioned by these men, and finally they let him go, and the scene goes into one of the saloons. Everything is quiet while a group sings in the orchestra pit, concerning the four people that are on stage — Sedalia Sue, who is a brassy blonde who has been a madam from way back in the Mid-West, and has come out there with her girls; the gambler is called Deuces Wild, and he’s ready to shoot anybody at the drop of a hat; then there is the madam’s pimp, called Longhorn Charlie. They are sitting having their morning breakfast — which is a Scotch or Rye Whisky — when all of a sudden the door opens, and in comes a girl with a pistol in her hand. She says to another guy who’s up at the bar, “You SOB! You’re going to catch Hell now,” and she shoots him four times. This really starts off the opera with a bang, and from then on it just goes. All the lines are so funny and so meaningful, and have a lot of depth to them, so I just had to set this as an opera. BD: Has this work been performed? GF: No! I wrote this for the opening of Gammage Auditorium here, which is the last work of Frank Lloyd Wright. According to historical content produced by Arizona State University, the process that would eventually lead to the historic Gammage Memorial Auditorium began in 1957 when incumbent ASU President Grady Gammage desired a unique auditorium for the ASU campus. In 1956, a campus facility serving as both an auditorium and gymnasium was rendered unusable due to a collapsed roof, likely forming the first event in the chronology of the new auditorium’s development. Gammage successfully recruited friend Frank Lloyd Wright to take part in the design of the new auditorium, who would, with various budget related alterations, base its design on an opera house that he had conceptualized for the city of Baghdad, Iraq sometime prior upon the invitation of King Faisal II. All intentions for the Baghdad opera house, a feature of the Plan for Greater Baghdad, were effectively abandoned after the King's assassination in the 14 July Revolution. Wright is also said to be responsible for the 1200 South Forest Avenue location of the circular auditorium, a site which was then occupied by an athletic field, and earlier by G.I. housing units. Wright’s contribution to the blueprint of the concert hall seized upon his death in 1959 (coincidentally the same year Grady Gammage expired), leaving protégé William Wesley Peters to undertake its completion. Spearheaded by the R.E. McKee Company, construction of the facility commenced in 1962 and completed twenty-five months later, officially opening on September 18, 1964. I was sitting in a committee meeting with the full faculty, and the man up in front said that we should have some great piece to celebrate the opening. He said I should write an opera for it, and so that was the spur. There was also the fact that I had just run into this story by Myers Myers, and also that I had been chosen as one of ten composers over the United States to come to the first annual Festival of City Center in New York City. All of this made me think that the time was right for a real honest-to-God American opera. So I went to work on the score. I actually worked on it for six years, during which time the Frank Lloyd Wright building got all the money it needed. Then they hired the Philadelphia Orchestra to come in and play the first concert. BD: So your work never got done? GF: It has never been done, though it has won commendation after commendation. It’s approximately the size and demands of Boris Godunov of Mussorgsky, and the lead roles are marvelous. The tenor aria, sung by Longhorn Charlie, is as difficult as Vesti la Giubba, the big aria from Pagliacci. BD: You should lobby somebody now and get it done for your upcoming seventy-fifth birthday. GF: [Has a huge laugh] I would like that very much! It was chosen by the Colorado Opera Company, which is a very fine company, to send as one of a group of operas that were offered to the Association of American Operas, or something like that. They were going to do sections of things, but they did not choose mine. It was obviously beyond their capacity. BD: Do you feel opera is still a viable art form? GF: It can be, and the answer is no. [Much laughter] It can be when it’s the great operas that are being done to the limited abilities of the stage directors etc. Some of the stage directors are just crazy, but you know that! They do all kinds of things to operas today. I was in Europe for a performance and one of the operas was done as a musical comedy, with girls in bikinis strutting across the stage. Some of the directors out there stretch things tremendously. So many of the directors destroy all the music, and simply worry about the stage action décor, etc. When opera is done well, with decent direction from the musical standpoint, it may eventually find its audience. It has a limited audience, as you know, in the United States. By the way, it was my privilege to conduct some operas in Chicago with a group called the American Opera Company. I did La Traviata and later a Meistersinger. My first appearance was with a Pagliacci - Cavalleria Rusticana evening. I filled in for a conductor who couldn’t make the last rehearsal. BD: Where were these given? GF: Out in the north side and in the Polish section... to the non-American Americans. They appreciated opera, and when the tenor sang the Pagliacci aria, Vesti la Giubba, I didn’t even hear the last sixteen bars of the orchestra. The hall exploded! People were standing on their chairs and kicking and shouting, and screaming ‘bravo’. He was darn good. He was a waiter in one of the restaurants in Chicago who had come over from Latvia. We also had a wonderful Carmen, sung by a lady who was the wife of a very fine psychiatrist in Chicago. She had a contract with the Metropolitan but wouldn’t go to New York because she didn’t like New York. But as a Carmen, she was gorgeous. GF: Oh, about as optimistic as I am about the future of the human race. Music fulfills a need and a purpose. As long as our general society is materialistic, then the only music that will exist is materialistic music — the kind that can get recorded and sell millions of copies to kids who, three weeks later, want another new one that is utterly different. They can’t even sing the songs that they do like. There are movements in all directions, as there are different kinds of people. BD: Should the concert managements try to get the audience for Pop music into the concert hall? GF: I really don’t know what they should do because what they’re after is making money. They will sell anything that they can sell, and get millions to buy records, and millions to attend their concerts, etc. I don’t think managements gives a damn about what happens to the business as long as they make money. That’s a pretty cynical thing for me to say, but I don’t think there are any great attempts by any individuals that I know of to sell good music to people. A lot of it is pure hype, and a lot of it is dependent upon the name of the soloist. It has its problems, but yes, there’s a heck of a lot of future for it, though it may have to be found by people who are seeking something more than the dirty words of our stage shows and films. I don’t think any opera set now in the text of our films would exist very long because people are going to grow out of that. It’s pretty adolescent, really. BD: Is that the difference between popular music and serious opera — that serious music hopes to endure? GF: Yes. I’m being pretty highfalutin when I say this, but it must contain some association with what mankind is, what people are, and when it does it, it’ll find a place. However, it may take a long time for it to find that place. Pagliacci was a lucky stroke by Leoncavallo. It was his first opera, and he never could write anything that good after that! [Laughs] But it had so much in it that it held the stage. It’s a called a verismo opera because it was one of the first texts that actually came out of the people in that way. It wasn’t fancy or full of fancy dress clothes. Because of its earthiness and because it is damn good as music, it not only was immediately a success but it has retained that success. [Note that its usual companion piece, Cavalleria Rusticana by Pietro Mascagni, has the same history — a hugely successful first opera, followed by others which have largely been forgotten.] There were many other operas which were successful at first and then faded away, and a few others, including Carmen, which were complete failures to begin with and then caught on. BD: When you start to write something, for whom do you write? GF: I have thought that over from time to time. You might say I write for myself, but that isn’t quite true. I write to try to communicate with any intelligent human being who has feelings and a sensuality to their life, and an ability to be intellectual, emotional, and have an unconscious which I can strike from time to time. I try to catch that, and once in a while I feel I may have. What I would like people to find in my music is a style that can touch people, and this is what I am seeking all the time. By the way, I do not stick to one style of writing. Since I spent many years as a conductor and also as a teacher, I know how to shift from style to style. What I’m after is the ‘meat’ of the music. I absolutely want people to hear melody. I always write melody, even when I write so dissonantly that they claim there’s no melody present. It is there. It is at my level of melody, perhaps not theirs. They couldn’t sing it, but I can. For example, I wrote Two Mexican Songs. They are gorgeous texts from a hack writer who, they say, would write a complete book in one week. I picked up one and saw these two magnificent texts, and set them. They have a quasi-Mexican style, which has nothing to do with Mexican sound. So we have different approaches to these very same things, but I’m still looking for the basis of a great song. It is not Boris Godunov or Pagliacci or Carmen. I wouldn’t want always to write the Habanera, which is a gorgeous melody. I wouldn’t want to do that all the time, nor would I like to write things as difficult to understand as the Bach Fugues. I might do it with a different kind of melody than Bach did, but that’s my technical approach to things. So to return to your earlier question, I have great belief in the future of music, just as I have great belief in the future of humankind, but I don’t know when or how it’s going to work out. BD: This has been a fascinating hour chatting with you. I’ve learned a lot, and I’m looking forward to putting together a program for the radio. GF: That would be a very nice gesture. Thank you for this call. This conversation was recorded on the telephone on March 14, 1987. Because of the poor sound on the original recording, quotations from the interview were used during programs of his music on WNIB in 1993 and 1998. This transcription was made in 2017, and posted on this website at that time. My thanks to British soprano Una Barry for her help in preparing this website presentation.